Sir Francis Walsingham was both Elizabeth1st's secretary from 1572 and MP for LymeRegis in the early years of her reign. He was a vehement anti-catholic who had a network of spies. His spy in Lyme Regis was a man named Arthur Gregory who had a genius for opening letters and resealing them, which of course, in those day involved repairing the broken seal. It is likely that he supplied at least some of the evidence to Walsingham of the alleged plot which led to the execution of Mary Queen of Scots at Fotheringay Castle in the year before the Spanish Armada (1588) at a time when the fear of a Catholic plot backed by Spain was at its height. Later in 1619 Gregory became Mayor of Lyme Regis. When Sir George Somers, Mayor of Lyme Regis, Buccaneer, adventure seaman set sail for Virginia in 1609 he could hardly have imagined what would have happened. A friend and business partner of Sir Walter Raleigh he was leading a fleet of 7 ships and 2 pinnacles (supply ships) to resupply the colonies Raleigh had set up in Virginia. A storm blew up, ships were scattered. His vessel, 'Sea Venture' was wrecked on the reefs of Bermuda. Successfully, they managed to reach the shore without a single loss - some 150 crew and passengers + 1 dog. At that time 'The Bermudas' had a bad reputation amongst seafarers. 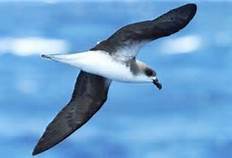 It was known as the 'Devil Islands', apparently because of the strange call of the native bird, the cahow which greatly disturbed the superstitious sailors. However, when they landed to their amazement they found it was a paradise!.... no hostile native, plenty of fresh water, and lots of little pigs running around. In the 11 months they spent on the island they built 2 new ships, the Patience and Deliverance, and went on to resupply the colonies in Virginia from Bermuda! What a remarkable feat for the early 1600s! sadly the colony by that time was teetering on the edge of extinction. 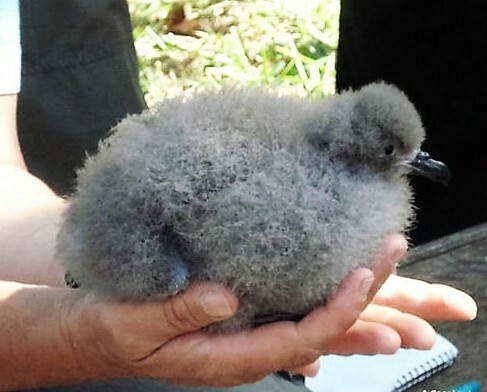 These beautiful cahow birds were thought to be extinct for nearly 300 years until a pair and one chick was recently found on Nonsuch Island (part of the Bermudas) and now a colony is being developed and it is hoped that soon the cahow will again be flying over the skies of Bermuda, emitting it's strange call. The first chick to be born was named Somers. Here in Lyme at the bottom of Coombe Street we have our own Banksi and a beautiful work of art it is too - a stork with a fish in it's mouth. Unlike so much of his work it doesn't seem to carry any social or political message. Perhaps its simplicity and beauty can be seen as a tribute to our town. Isn't it amazing how graffiti has moved from the realms of inner city protest and vandalism to an extraordinary unique and popular art? Of course it has benefited massively from the courage, skill and vision of individuals like Banksi. Wandering around the atisan area of Bridport the other day I came across some other extraordinary fine examples. As a new Lyme History Walks season begins one of my favourite characters who I most enjoy introducing to visitors is Thomas Coram. Even many Londoners are unaware of who he is and the extraordinary contribution he made to 18th Century social progress. Born the son of a sea captain in Combe Street here in Lyme at the end of the 16th century, he went to sea at an early age and made his fortune as a merchant and shipwright in the New World. In later years he decided to return to his home country for his retirement. However, on reaching London, shortly after stepping ashore, under London Bridge a sight that was to shatter any hopes of a peaceful retirement was there before his eyes; a sight that shocked him so deeply he could not forget.. Babies were left abandoned to die under the bridge. This was a society where illegitimate birth and poverty were so condemned that it was made impossible for poor parents to keep and maintain these children. After a 10 year struggle Coram eventually got a charter from the King George to open the Foundling Hospital in Bloomsbury where at least some, by lottery, of these children could be taken in, cared for, and given a chance in life. This was London's first orphanage. Famous patrons Handel donated the manuscript of the Hallellujah Chorus from" the Messiah" to Coram and Hogarth opened the first public gallery in the Hospital. Thomas Coram spent his whole fortune on this project and died a penniless but apparently contented old man. John Fowles, our illustrious local author,in his book "a short history of Lyme Regis" -(an excellent read!) writes "Lyme has more famous names attached to it, but none of kinder memory." As we enter St. Michael's Church on our walk, just behind the door of the ancient Porch, so easily missed, is Lyme's tribute to this great man, a beautiful stained glass window probably based on the famous portrait by his friend William Hogarth. On Saturday the 13th of April I had the pleasure and privilege of giving an after dinner talk to a group of about 20 literary ladies on the history of Lyme Regis at the Royal Lion. This was the first talk of this kind I have given, although of course I am talking every time I do a Walk. The pleasure of this kind of occasion is being able to expand on themes and discuss events in more detail. History is so much more than mere facts. Infact the facts don't give the half of it in my opinion. As in any good historical novel one has to immerse oneself in the flavours and feelings of the time one is representing. Sometimes well informed fantasy and fiction can give the clearest picture of an age. How else can one get into the minds of people who lived through the terrifying turmoil of the Civil War in Lyme to be confronted some 40 years later with the Monmouth rebellion and it's aftermath. The notorious landslips of the area were not the only ground that was crumbling beneath their feet. This week I had the pleasure of taking around a group of mainly French tourists, with explanations in French followed by a translation for two or three English members. This was one of the most challenging, but enjoyable walks I’ve done so far this season. Although I’m a fairly competent French speaker it was quite a challenge to find the French equivalents for words like ”packhorse” and “the stocks”. Fortunately I had help from a native speaker, but even she was baffled by some of the historic expressions. Attempts to use online translation sites made me realize why a Portuguese friend was so wildly amused at a note I had written her in her language. Despite my initial nervousness all went well, except the weather and I look forward to doing more French language history walks in the future. One of the joys of history that I’ve picked up, often aided by the observations of Lyme History Walk participants, is the drawing of parallels between past and contemporary events. 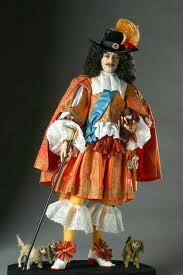 The English Civil War and the Commonwealth period are probably the most traumatic events in our history. Old certainties were scattered like a pack of cards. 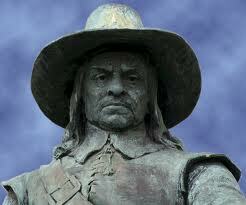 The Puritans were in many ways England’s own home grown Taliban. Tempered by persecution under Archbishop Laud, who attempted to drag the predominantly Protestant clergy closer to Rome during the reign of Charles 1 they became hardened in conviction and dissent. Ignatious Jourdain, whose brother Sylvester sailed with Sir George Somers to Bermuda, is a typical example. After his conversion in Guernsey he left Lyme for Exeter where he became the mayor and MP for the town. He was reknown for his harsh intolerance of sin and human weakness, introducing the first Sunday Observance laws in parliament and a bill mandating the death penalty for adultery. However he was a popular public servant and a man of great charity. During the Exeter plague of 1625, refusing to leave the town, he fearlessly offered succour and financial support to the sick and bereaved. This is the kind of spirit that must have sustained Lyme during the 8 week Royalist siege of 1644. Two successive vicars of Lyme show the same qualities of conviction, courage and austerity. It’s interesting the note that by 1660 when the breakdown of central authority in church and state had lead to disillusionment and despair, the puritans themselves, now split into opposing factions, were willing to welcome back the King. Aimes Short, the then vicar, extolled the virtues of Charles 11 on the eve of his return as a “virtuous godly prince.” How he must have regretted this sermon when he himself was persecuted under the new Act of Exclusion which Charles enacted in 1662. However with the same courageous stoicism of his predecessors, although deprived of his living, he set up the first Independent Meeting of dissenters in Lyme. He remained a virtual fugitive the rest of his life, often protected by influential members of the town who could not, however, save him from an eventual spell in Dorchester jail. Samuel Pepys in his Diary shares his delight at the reopening of London’s theatres on the return of the King, and the indulgences of the “merry monarch” were mostly sympathetically viewed by a population who had grown tired of the joyless condemnation of simple pleasure and extreme religious observation of the puritans. Modern parallels and lessons to be drawn I leave to you. In this month of March, which featured World Women’s Day, a friend asked me if I knew of any historic female entrepreneurs with connections to Lyme Regis. Well, there is one person in particular who springs to mind. 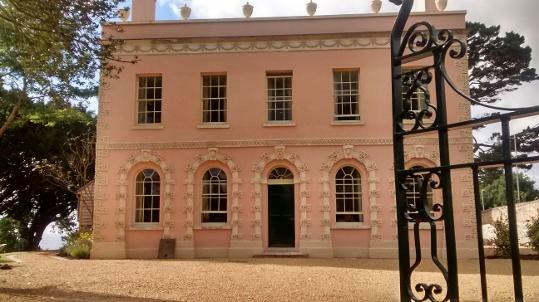 Eleanor Coade was born in 1733 to a prominent family with connections in Lyme and Exeter. The family wealth was made through wool and clay. Eleanor became particularly interested in the clay side of the business and in 1769 established a partnership with a Daniel Pincot in Lambeth in artificial stone making. Within two years she was the sole owner of the business which went from strength to strength. 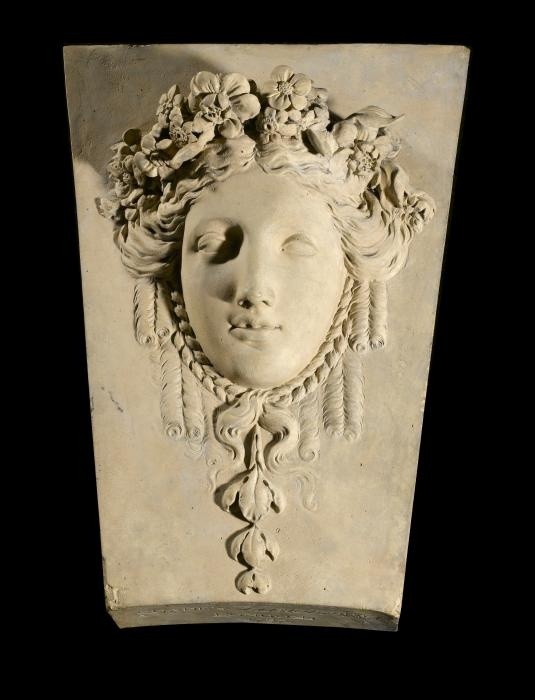 For many years her “coadestone” figures were extremely fashionable and commanded a high price. They were famous for their durability and resistance to weathering, and adorned many famous buildings. Eleanor never married, but added the prefix Mrs to her name for respectability. One wonders how many other compromises she had to make to swim against the tide and occupy such a unique position for a woman in 18th century England. The Coades were clearly a remarkable family with Quaker connections who among other things fought hard against political corruption in Lyme Regis. Eleanor’s uncle bequeathed her a beautiful house at the top of Pound Street in Lyme called Belmont which is covered with many unique examples of coadestone figurines. To the casual observer the figurines may look as if they are the best preserved parts of the house. Belmont later became of property of John Fowles and, according to his wishes is now in the hands of the Landmark Trust who are perusing a program of restoration. Eleanor Coade must have been an extraordinary person. 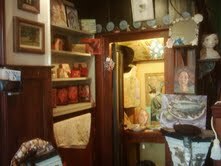 Last Thursday artist Lindzi West kindly gave me a tour of her house, formerly known as the Tudor House, now the Mermaid B & B. This is one of the oldest merchant houses dating from Lyme's most prosperous era, around 1580. Many original features remain including huge Elizabethan beams, reputably sourced from shipwrecked vessels of the Spanish Armada. 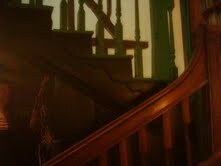 The magnificent wooden staircase is as sturdy a structure as the ships that the wealthy Lyme merchants built and sailed in. Sir Walter Raleigh, a frequent visitor to the town where he had friends and trading concessions would have visited the house on many occasions. In 1725 the author Henry Fielding paid court to Sarah Andrew, a young orphaned heiress living with her guardian uncle at the house. When the family rejected his suit the hot blooded young Fielding attempted, and failed, to abduct Sarah on the way to church. This caused a great scandal in the town. Sarah later apparently became the model for Sophie Weston in "Tom Jones". The most exciting discovery of the house which Linzi, with the help of a ladder gave me access to was a curious, tiny hutch like chamber with a single small wooden bench inside, concealed in the attic. This was almost certainly a "priesthole". Lyme had a strong puritan background from Elizabethan times. So the occupant would most likely have been one of the puritan dissenters who had refused to conform to either the persecutions of Archbishop Laud under Charles 1st or the various Acts of Uniformity or Exclusion of his Stuart successors. In Lyme many members of puritan sects were cruelly persecuted by local Royalists after the failure of the Monmouth Rebellion, no doubt as part of revenge for Lyme's participation. Many priests were deprived of their living. The weight of Elizabethan beams, stone steps and the secret past of the house would be suffocating if not for the transforming effect of the artwork that Linzi and other artists working in her studio have produced. Beautiful delicate portraits and images fill the ground floor with light and a vibrant feeling of a living present which moves up the stairs, settles in every corner, and dispels the dark shadows of the past.